When you’re in college, everyone wants to offer you a credit card. Over two-thirds of Americans aged 18 to 24 have credit cards, according to the latest FICO statistics. Credit card ownership rises as students get older, with 43 percent of students aged 18 to 20 having cards, which rises to 63 percent for students 21 to 22 and 71 percent for students 23 to 24, according to a Sally Mae report. Overall, 56 percent of undergraduates use credit cards. Having a credit card gives you more freedom to buy things, but it also exposes you to risks if you misuse your credit or if your identity gets stolen. Credit problems can affect your financial future, but with a little strategy and planning, you can build your credit while also protecting your finances while you’re in college. If you want to buy a car or a home in the future, your ability to get financing will depend on your credit score. Your credit score is a measure of your ability to pay back money you borrow. It reflects your income, how well you manage money you borrow, and how reliable you are at repaying loans on time. Credit card companies, banks, car dealers, and mortgage lenders who are considering lending you money use your credit score to evaluate whether or not you’re a good risk. A high score makes you a better risk and more likely to receive a credit card or loan, while a low score makes you less likely to receive consideration. Your score can go down if you borrow too much for your income level, if you spend too much of your credit limit, or if you don’t pay bills on time. It can also go down if someone steals your identity and spends money in your name. A bad credit score in college can keep you from getting credit cards, a car loan, or a mortgage loan after you graduate. The trick to building a good credit score is to borrow and repay enough to establish a good track record that proves you’re responsible with money, without borrowing so much that you can’t afford to repay it. In order to do this, one important strategy is to keep the amount of your credit line that you spend within manageable limits rather than maxing out your credit cards. Most credit card experts advise you not to spend more than 30 percent of your limit, but spending less will improve your score. Consumers with credit scores above 800 on the FICO scale, considered an excellent rating, generally spend only seven percent of their available credit. In addition to keeping your spending within manageable limits, another major factor affecting your credit score is paying your bills on time. Always paying your bills on time will help maintain your credit score. In addition, you can improve your score by taking out a loan and repaying it on time, which demonstrates that you’re responsible with debt management. Many banks offer small loans known as credit builder loans for this purpose. Another key to protecting your credit rating while you’re in college is guarding yourself against identity theft. Student identity theft is three times the average rate, and students are four times more likely to be taken advantage of by someone they know, according to Javelin Strategy & Research. 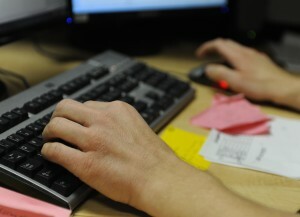 Protecting yourself against identity thieves requires following good online security practices. Lock your mobile device with a strong password or a biometric authentication tool such as facial recognition. For online accounts, use a password manager instead of typing in your password manually. Keep your operating systems and apps current with the latest versions and security updates. Use a secure connection such as a VPN when going online. Avoid transmitting financial data over unsecured connections such as public Wi-Fi hotspots, and only use encrypted sites featuring an HTTPS extension when making online transactions. Beware of email scams and bad links. It’s also important to protect physical documents that may contain sensitive data. Make sure you pick up your mail promptly, and shred any financial documents before throwing them away. Keep important paperwork, such as your Social Security card, stored securely in a safe location such as a personal safe or a safety deposit box. Monitoring your credit report will also help alert you if someone has stolen your identity. You can monitor your report automatically by signing up for an identity theft protection service. This type of service can notify you of suspicious use of your identity so that you can promptly alert credit bureaus to freeze your credit report. It can also help you recover your identity and limit your losses. Bad credit scores in college can hurt your ability to get a credit card or loan after graduation. You can build a good credit score by maintaining a low balance on your credit limit, paying bills on time, and building a history of repaying loans. Taking steps to guard yourself against identity theft, such as signing up for an anti-identity theft service, will also help you protect your credit score and your financial future. Finding personal finance information online is one of the best ways to get the most up to date information. You can hear about new ideas and opportunities the moment they come out. So you’ll always know you’ve got the latest news available. The internet also offers easier access to a wider variety of information. You can find everything from how to mitigate your debt to advice on where to live while in college. You can also find people in your exact financial situation blogging about the ways they are managing it. You can follow these people and even get in touch with them. This allows you to get more personalized and relevant advice than you might find in other sources. However, the internet does have its downsides. The most significant one is the presence of bad information. You will have to sift through some questionable sources and filter out the misleading or manipulative sites before you actually find the sites worth reading and following. Before you act on any advice or ideas you find on a blog or social media account, make sure that you look into its background. Find out who is writing and learn as much as you can about who they are and what they do. If it’s not easy to find this kind of information about their background, that itself is a warning sign. A legitimate blogger wants to be found and wants to provide information about who they are and where their expertise lies. Once you find a quality source, stick with it. Sign up for email updates. Follow any social media accounts they may have. And add a note to your calendar reminding you to check in on the site at least once a month. Try to find at least two or three different blogs or websites that you check in on regularly. This is a good habit to get into so that you can remember to actively manage your personal finances rather than ignoring them until they get out of hand. Magazines and newspapers are also great resources for quality personal information before you set off for college. On average, they tend to be more thoroughly researched than online sources. That doesn’t mean online sources have no value. It just means print sources tend to dig a little deeper or narrow their focus to really understand a specific issue. Newspapers and magazines can also add some important context to your personal finances. The wider economy and market conditions are going to affect your personal finances as well. If you’re relying on financial aid, for example, it’s important to stay up to date about any policy changes the government makes that might affect how much aid you get. If you ever plan on investing as part of your retirement plan, it is a good idea to start getting familiar with the financial markets as soon as possible. You don’t have to become an expert in economic theory or spend all your time closely analyzing the state of the market. Just make an effort to be aware of the key events and shifts that are happening. To do that, subscribe to two or three newspapers that have solid reputations and articles that are relevant to you. Add these to your monthly reading list. The best finance books are great resources to use when you’re ready to go really in depth on a particular topic. 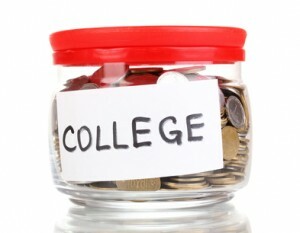 For example, as a college student, finding as much funding as you can outside of loans is going to be a top priority. A great book can give you thorough details and great exercises to help you gain the skills and insights necessary to qualify for as much financial aid as possible as well as win as many scholarships as you can. Books can also help you develop the basic money management skills that you will need throughout your life. If this is your first time living on your own, you’ll need to learn how to make a budget, how to stick to that budget, and how to build credit without letting your debt spiral out of control. With books, the key thing to watch out for is the date of publishing. College gets more expensive every year and the economy is always changing. The resources and tools available are also often changing. So reading a book written in 1970 might have a few good ideas but there will also be a lot of dated information that no longer applies. Try to stick with personal finance books that have been written within the last 10 years. The only exceptions are those timeless books that describe methods and ideas that are relevant and practical no matter what the current conditions are. You don’t have to read books as often as blogs, newspapers and magazines. However, you should try to fit one or two personal finance books into your schedule per year. This habit will deepen your knowledge and really help you think about how to apply all the ideas you have been reading about throughout the year. Personal finance information is one of the most invaluable resources you can bring into your life. The more knowledge and skills you have with managing your money, the better off you will be throughout your entire life. So find the resources most relevant to you and make time in your schedule each month to educate yourself about your personal finances! Millennials are overconfident and under-prepared when it comes to managing their money, according to new research funded by the National Endowment for Financial Education® (NEFE®) and conducted by George Washington University. They consider themselves far more knowledgeable financially than they actually are. “Millennials are known for having unrelenting belief in their own abilities. This generation is diverse and highly educated. However, their overconfidence puts them in an extremely fragile financial position, and sadly, they don’t realize it,” says Ted Beck, president and CEO of NEFE. Only 24 percent of respondents showed basic financial literacy in the study, with just 8 percent showing a high level of knowledge. Yet, 69 percent gave themselves a high self-assessment of financial knowledge. Financial Strengths: On paper, millennials are highly engaged in their financial lives. “It’s time to stop defining this generation solely by their student debt load. The picture is more nuanced,” says Beck. The majority (88 percent) are banked, and 51 percent have a retirement account. Over 40 percent own their homes and one-fourth have investments in stocks, bonds or mutual funds. Debt: However, on the other side of the balance sheet, millennials are heavily indebted and borrow against their assets. The majority (53 percent) feel they have too much debt. Two-thirds have at least one source of long-term debt (student loan, home mortgage, car loan), and 30 percent have more than one source of outstanding long-term debt. More than one-third have unpaid medical bills. About 20 percent of those with a self-directed retirement account either took a loan or made a hardship withdrawal in the prior 12 months. “Young adults may not understand the consequences of their actions, such as how taking money out of their retirement accounts now has an exponentially negative effect on account balances in the future,” adds Beck. Financial Fragility: Many millennials are financially unprepared to handle sudden economic shocks. When asked if they could come up with $2,000 if an unexpected need arose within 30 days, nearly half (48 percent) said they probably or certainly could not come up with the funds. Less than one-third (32 percent) have set aside funds to cover three months of household expenses. Nearly 30 percent of those with bank accounts had overdrawn their account in the prior 12 months. For complete findings of the research, click here. This research analyzed data from the 2012 National Financial Capability Study (research brief of 2015 data also available), a state-by-state online survey commissioned by the FINRA Investor Education Foundation. The analysis focused on 23-35-year-olds, with a total of 5,525 observations. The study was led by Annamaria Lusardi, Ph.D., academic director of the Global Financial Literacy Excellence Center (GFLEC) and Denit Trust Chair of Economics and Accountancy at the George Washington University School of Business; and Carlo de Bassa Scheresberg, senior research associate at GFLEC. NEFE is a nonprofit foundation that inspires empowered financial decision making for individuals and families through every stage of life. For more information, visit www.nefe.org. There are three keys to saving your wallet while still in school: make money, save money and be smart with your money. Your class schedule may make “regular” jobs hard to find, but earning supplemental income doesn’t need to be an obstacle. There are 53 million freelance workers in the U.S. today, according to Freelancers Union. You can join them, while still in school. First take stock of what you have to offer. Are you crafty? Turn your fun hobby into income on Etsy or similar sites. Don’t forget to consider the standard-bearers of independent work. The powerhouse Amway is built on the work of people working for themselves. You get the name recognition of an international company, with the self-directed flexibility of the gig economy. Whatever your talent, consider offering it up on a platform like Fiverr. Everything from singing a jingle to researching a domain name nets a “fiver,” hence the site’s name. TaskRabbit offers a different model. Check to see if your city is listed. If so, you can apply to become a tasker. Jobs range to standing in line (seriously) to delivering groceries to assembling IKEA furniture. Does your school have a psychology department? Check to see if there are trials, experiments or testing going on and whether they pay. Do it for science (or for twenty bucks). There is a constant need for plasma. And it usually pays somewhere between $25 and $50. You most likely have access to Wi-Fi on campus, so take full advantage of what your school offers technology-wise. If you have sufficient access to the Internet for free, why pay for it at home too? You may need a cellphone, but you can let cable go. Check out music and DVDs from the library instead. Textbooks shred your wallet, so be on the look out for a good source of used textbooks. Then, sell yours when the semester ends. Another option is renting those tomes through services like Bookrenter. Many campus social events feature food, so attend and eat for free. Always keep your student ID handy. Discounts at museums, movies and transportation all add up. Many big companies offer students special deals that no one else can get. For example, Amazon has Amazon Student. When evaluating what kind of jobs to take, keep in mind the ratio of your time and energy spent to the dollars earned. If your grades suffer because you’re too busy on Fiverr doing five-dollar gigs, it’s time to rethink your position. It won’t do you any good to save money by buying an old textbook if the content has changed too much. Do some research. Very often there is virtually no difference, but it’s better to be safe than sorry. Keep in mind the skills you want to build on for the future. And finally, don’t sell yourself short. For those that don’t know, April is National Financial Literacy Month. This represents the time of year when there is a concerted effort to help increase the financial acumen of people representing all generations. 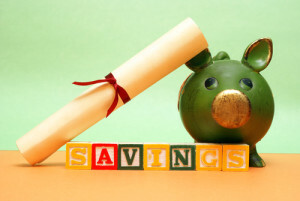 Student financial literacy efforts on campuses have been gaining momentum in the higher education industry as colleges and universities attempt to equip their students for success by helping them feel more comfortable and knowledgeable about their personal finances. Most universities and colleges have been successfully weaving small components of financial literacy into their programmatic endeavors for the past couple of years. However, there is no better time than the present to start ramping up those efforts exponentially. In an attempt to help you work through the process of implementing a successful financial literacy initiative on your campus, I have devised this “quick and easy” three-step approach. Before you even begin contemplating a financial literacy program on your campus, you first have to justify that your student population needs help in the area of personal finance. And trust me, the more effort you put into this task on the front end, the better your chances of securing resources (time and money) on the back end. 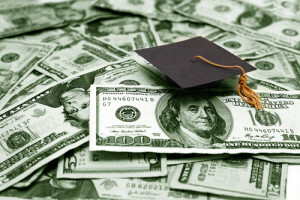 The good news is that white papers from the industry (COHEAO) reflect that financial literacy initiatives on a campus can improve student financial behaviors and, in some cases, make the difference on whether a student successfully achieves their education goals or makes the decision to leave school entirely. We all know that it is more cost effective to retain a current student versus trying to recruit a new one. If you need additional justification for starting a financial literacy program on your campus, I would encourage you to refer to the recently released Money Matters on Campus Survey Report sponsored by EverFi and HigherOne. This survey provides some very sobering statistics about the financial acumen of first-year college students. Some may think that financial literacy is just for currently enrolled traditional college students but I would encourage you to think outside of the box and ponder the many different populations that interact with your campus community. The following represents many of the different groups in which you could promote your Financial Literacy Programming (FLP). Incoming/First Year Students – If you have a first year experience program, this could be the gateway to implementing a FLP component into your curriculum. Upward Bound/TRIO Students – The Federal TRIO program has a requirement for student financial literacy in its funding stipulations – your FLP could satisfy that mandate. Adult Students – Regardless of what phase of life your students are enjoying, a refresher on financial literacy can never hurt. Alums – Your FLP could be a useful tool as your alums are embarking upon real-world financial challenges and need some guidance. Unfortunately, there is no silver bullet concept when it comes to promoting financial literacy at your college. Every campus community is different and each individual student (or target group identified above) is unique in what will grab their attention and spur them to engage your resources. So, the best approach to delivery usually incorporates multiple channels and varied mediums. The following represent a few approaches for your consideration. Doug Schantz currently serves as the director for the Office of Student Accounts at Wittenberg University and thoroughly enjoys topics related to paying for college, saving for college, financial literacy, scholarships, financial aid, education loans and just about any subject matter that you can think of related to college expenses. Feel free to connect with Doug on LinkedIn, Twitter, or Facebook.